On three separate occasions in the past few weeks, I’ve been confronted with the discussion of individuals who have been diagnosed with a chronic disease, specifically Crohn’s disease or ulcerative colitis, deciding to have children. 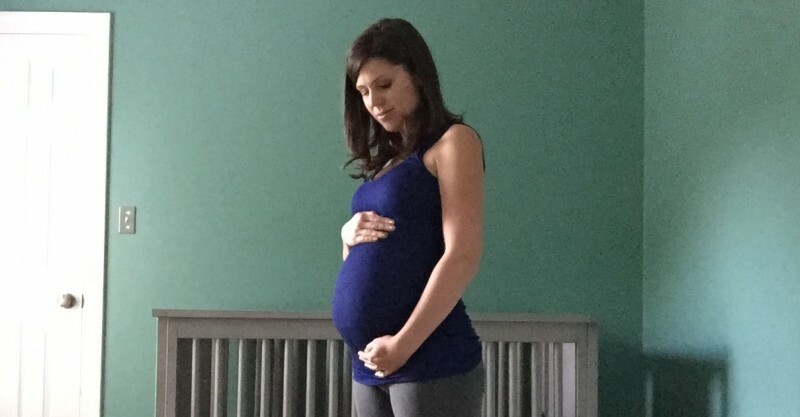 I realize this can be a controversial topic and, as you probably know, I am currently 8 months pregnant with my first child, so I understand the process that you go through when making that sort of decision. I understand why there are those who might decide not to have children themselves, whether due to their personal desires or due to concerns about their own or their children’s health. And while all of this played a role in our process, I wanted to share some of the reasons why my husband and I made the decision we did. And that’s not to say that this process should look the same for everyone else. This is a deeply personal decision, one that no one else can make for you and one that no one should ever pass judgment on. I have always wanted kids and have never really considered not having them. Since I was much younger than I am now, I have wanted to be a mother and to have a family. Both my husband and I come from family-centric homes and we’re still very close with all of our family members. I don’t think I have ever truly considered not being a mom at some point in my life, whether through natural means, medical assistance or adoption. I think it’s something that is built into who I am and what I desire out of life. This entry was posted in Inflammatory Bowel Disease, Ostomy, Pregnancy, Stolen Colon, Surgery, Ulcerative Colitis and tagged colectomy, colon, colon bag, Crohn’s disease, family, health, hospital, IBD, ibd blog, ileostomy, ileostomy bag, ileostomy blog, life, motherhood, ostomy bag, ostomy blog, pain, parenthood, pregnant, surgery on May 14, 2015 by Stephanie Hughes. The short answer is yes. Yes, you can get pregnant after having surgery to get an ostomy …and I now can say this from personal experience. 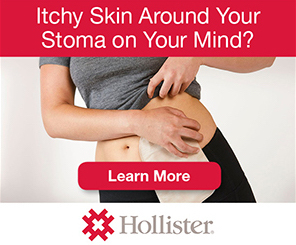 It makes me very happy to say that it is still possible to get pregnant with an ostomy! However, at the same time, (and this is the long answer) I must stress that my experience is not necessarily typical and is not going to be the same as many others. I had been married for two years when I had my first surgery to removed my colon, so I knew that kids were something that my husband and I wanted in our future. I was scared of what having this surgery might mean for that. So of course, I discussed it at length with my surgeon both prior to and after my surgery. He told me that having the surgery should not affect my ability to carry a child, however, it could make it more difficult to conceive in the first place. I believe it has something to do with scar tissue from the surgery and also, just anytime you go moving things around in your stomach/gut-area it can affect the way your body functions. I was blessed to have had both of my surgeries done laparoscopically, so it was not nearly as invasive of a procedure as it is for many. Now, I won’t get into the actual “getting pregnant” part, because I’m sure we’re all familiar with the process, but I did want to go over some of what it was like mentally trying to do so. I did my best to adhere to the advice that many of us have heard before: Hope for the best; plan for the worst. 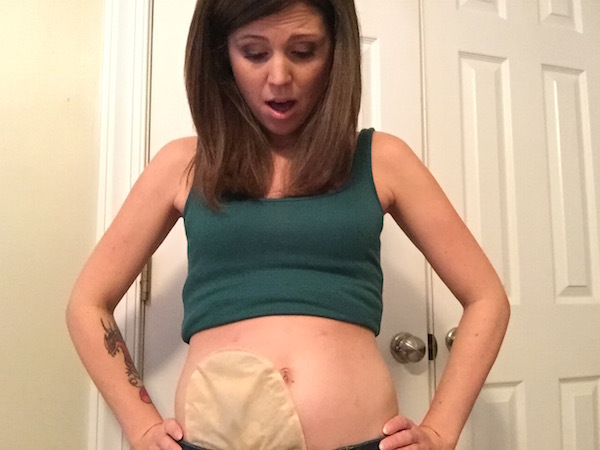 This entry was posted in Motherhood, Ostomy, Out of the Bag, Pregnancy, Stolen Colon, Surgery, Ulcerative Colitis and tagged baby, colectomy, colon, colon bag, Crohn’s disease, family, health, IBD, ibd blog, ileostomy, ileostomy bag, ileostomy blog, life, ostomy bag, ostomy blog, pregnant, stoma, surgery on January 18, 2015 by Stephanie Hughes.